It was Thursday the 4th of April, and Tottenham were facing off against FC Basel in a Europa League Quarter Final First Leg. Spurs were chasing hard after a Champions League Qualification spot via the Premier League, while also hoping to advance past the Swiss outfit for a place in a European Semi Final. Spurs fans could be forgiven for thinking that fate was conspiring against them though, as apparent disaster struck. Gareth Bale, their talismanic winger, was chasing down the ball in the company of Basel’s David Degen when his ankle twisted over, buckling beneath him. Bale was carried off the White Hart Lane pitch on a stretcher having damaged ligaments in his ankle, with the expectation being that his spectacular season had come to a premature conclusion. 17 days later, Bale started against Manchester City and scored the first of the four goals he would contribute in the remaining six games of the season. He would finish the season as the PFA Player and Young Player of the year, as well as the Football Writers Footballer of the Year. On the 150th day after his injury, Bale joined Real Madrid as the most expensive player in football history. Any trace of an ankle injury was long gone, the miraculous recovery complete. Bale didn’t recover this quickly purely as a result of possessing some unnatural inherent healing powers, instead he benefited from a treatment which has been strongly advocated by Tottenham and it’s manager, Andre Villas Boas, amongst many others. PRP treatment, or Platelet Rich Plasma, is a treatment which has become incredibly widespread across the world of sport in recent years despite being shrouded in controversy and doubt by many. PRP, also known as “blood spinning” is the practise of utilising a patients own blood in an attempt to accelerate the process of healing. A practitioner extracts a small blood sample from the patient (generally 10-15 millilitres), and then places the sample in a centrifuge where it spins for approximately 15 minutes. This spinning process separates platelets and white blood cells returning the blood to its component parts. Then the newly separated components, PRP, are re-injected into the athlete, or more specifically into the joint or muscle at the point of injury. This procedure is generally performed in conjunction with an ultrasound to allow the practitioner to pinpoint the precise spot of damage, in order to optimise the impact of the injection. Following the procedure, the early stages of recovery are dramatically accelerated leading to a much shorter rehabilitation time. Bale’s teammate at the time, Jermain Defoe, also benefited from Spurs use of PRP. In January, an MRI revealed Defoe had suffered a grade one tear of his obturator muscle, so Tottenham scheduled the striker for a course of blood spinning. Five days after his injection, Defoe was declared fit enough to be in contention to start a midweek game by his manager, Villas Boas. Villas Boas, a long term advocate of the treatment dating back to his days as a member of Chelsea’s backroom staff, gave his thoughts on the treatment to the Guardian at the time. Villas Boas said “We believe a lot in growth factor treatment and plasma platelet treatments. It is a technique that we have been using since the beginning of the season. It is not common but does happen from club to club. You take out the blood from any part of the body and spin it around. The plasma comes to the top and you are able to inject it back into the body. It is the part of the blood that heals injuries.” In spite of these apparent success stories, there remains a strong reluctance to engage in PRP treatment among many in the world of sport. Arsenal manager Arsene Wenger is reportedly totally opposed to the treatment, while many medical experts still debate both the effects and effectiveness of PRP. 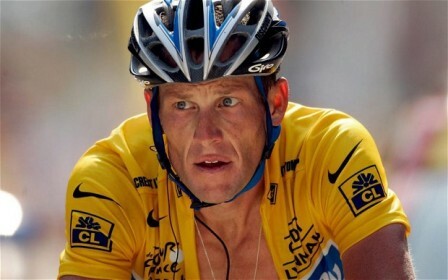 Perhaps the greatest reason to be wary of PRP though is for the thin line that separates it from blood doping. “Despite the presence of some growth factors, platelet-derived preparations were removed from the List as current studies on PRP do not demonstrate any potential for performance enhancement beyond a potential therapeutic effect. Note that individual growth factors are still prohibited when given separately as purified substances as described in S.2.5”. In the time that has transpired since that statement, The American Journal of Sports Medicine has conducted a study that shows exactly the extent to which growth factors are present and how they could potentially manifest themselves alongside banned substances. The study aimed to uncover exactly what impact blood spinning had on performance, and to find a manageable means by which to test for PRP use. By measuring the levels of 6 different growth factors that are currently banned by WADA across 25 different patients consistently over a period of 4 days, the testers were able to measure comparative percentage changes in these substances across the subjects. They found that 3 particular substances from WADA’s list significantly increased following the procedure: VEGF (a protein produced by cells to aid oxygen supply and relieve circulation issues), IGF-1 (a hormone with a similar nature to insulin, which can help produce growth), and bFGF (a factor that initiates the creation of new blood vessels from existing ones and accelerates healing). An increase in these three substances could potentially lead to an increase in an athletes strength, stamina and durability, which explains why they are currently banned under Section 2.4 of WADA’s list. 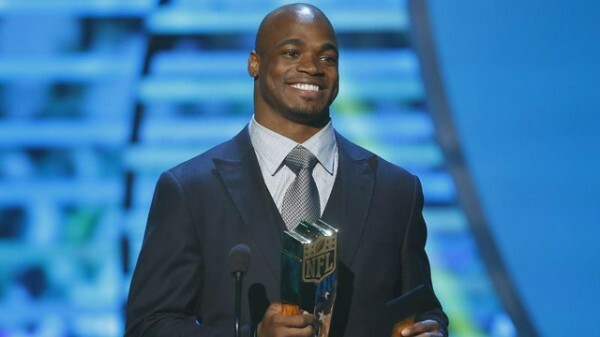 Minnesota Vikings Running Back, Adrian Peterson, returned from a torn ACL after just 8 months in 2012, and went on to have the best season by far of his career. Peterson was the league’s MVP and Offensive Player of the Year directly after returning from an injury renowned for ending careers. A 2006 study by the American Journal of Sports Medicine found that of the 80% of Wide Receivers and Running Backs who recover from this injury to return to the NFL, their performance levels generally drop by 33% following the injury. As a result Peterson has had to endure speculation of doping and illegal substances, while perhaps much more likely is the possibility of him having had PRP as is now commonplace for knee injuries of that nature. This may well have sped up his recovery and improved his performance while being completely within anti-doping regulations. Athletes by nature are going to do every thing they can to gain a competitive advantage, and in the case of blood spinning, when it’s completely legal to do so, how can they be blamed? After receiving PRP, Pittsburgh Steelers former Wide Receiver, Hines Ward recovered from a sprained MCL in just two weeks to help lead his team to Superbowl success back in 2009. The likes of Arjen Robben, Kobe Bryant, Tiger Woods and Alex Rodriguez have also all used PRP as part of their rehabilitation processes as some of the best and most well known athletes in the world. 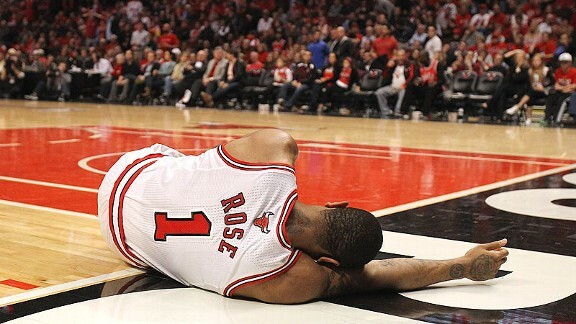 Chicago Bulls Point Guard, Derrick Rose will return to the hardwood this season following a year off from a torn ACL, during which he also utilised blood spinning. There’s nothing illegal about what these athletes are doing, but in light of new evidence there should be. At the moment, the benefits of PRP, and the substances which it enhances within the blood make WADA’s stance on it completely contradictory. As things stand, PRP acts as a means to improve performance artificially, yet it is completely within the rules of sport. In other words, it is currently a loophole for legal doping, and it needs to be closed fast. Great article. Rafa Nadal was out injured for a very long time but has had an amazing season on his return, is it possible he used PRP as part of his recovery? It would explain a lot if he did. There were definitely rumours of it, who knows. As I said in regards to Adrian Peterson, it has become so commonplace in relation to knee injuries that there is every chance. Why is Wenger so opposed to it? Are there risks? Although it’s generally considered safe, there are a number of medical professionals who are concerned on whether there may be any long term impacts. As it’s a relatively new procedure that aspect remains a partial unknown. I obviously can’t speak on behalf of Wenger but would imagine that he would be uneasy with anything that could even be mistaken for illegal also.